Mentone Grammar is an independent school for boys and girls from ELC to Year 12. We are acknowledged as a dynamic learning environment with outstanding opportunities for boys and girls. Our unique education model, where middle school students in Years 5-9 learn in separate gender classes, with all other year levels coeducational, reflects modern thinking that boys and girls develop differently during various stages of adolescence. Situated in Bayside Melbourne, a short walk to Melbourne’s beautiful beaches, Mentone Grammar offers impressive and modern facilities in an ideal location. Dedicated staff work to ensure that Mentone Grammar provides outstanding education for boys and girls, throughout their school journey. We have a broad cocurricular offering. Whilst we are very proud of many nationally ranked performances each year by our students, we seek to ensure that each individual is provided with a vast diversity of sporting and cultural opportunities, independent of their current capabilities. Whilst we are an Anglican School, committed to the quest for meaning in life as it is articulated in the teachings of the Bible, we welcome all who wish to join us, regardless of religious background or beliefs. Mentone Girls' Grammar School was founded in 1899 and offers education for approximately 550 girls; from our Early Learning Centre through to Year 12. Mentone Girls' Grammar School welcomes girls from varied backgrounds. the courses of study are designed to encourage diverse interests and are tailored to meet the developmental needs of girls growing from early childhood (Kindergarten to Year 4) through puberty and adolescence (Years 5-8) through to emerging adulthood (Years 9-12). Set on a single campus, Mentone Girls' Grammar School emphasises the wellbeing of our students. we present an integrated curriculum which fosters friendships and peer support across Junior and Senior levels. The school's size is big enough to allow breadth of choice and small enough for students to be known as individuals within a community. The hallmark of a Mentone Girls' Grammar School education is the pursuit of excellence in achievement - be it academic, cultural or sporting - by young women who are confident that they can succeed because they are supported in an encouraging environment of comprehensive pastoral care. Mentone Girls' Secondary College has many features that sets it apart as a very high performing State Secondary College. As a girls' school, we encourage students to strive to achieve their very best in every endeavour in a safe and accepting environment. Each girl's talent is nurtured and valued, through participation in academic, sporting, artistic and civic leadership events and activities. As we seek to prepare students for the next phase of their education and in their adult life, the values of independence and responsibility are actively promoted. 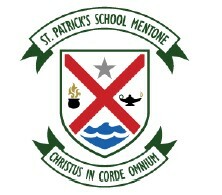 St Patrick’s is a Catholic Parish Primary School in the Archdiocese of Melbourne. Christ is our model in faith, action and relationships. The school is accommodated in variety of well-maintained buildings, both old and new, on a large and secure 3 hectare site in Mentone. Spacious playing fields, paved courtyards, adventure playgrounds and well maintained gardens create a beautiful working environment. Visual images and architectural style serve as a constant reminder of the school’s heritage and identity. The parents, children and staff of St Patrick’s come from a variety of cultural and socio-economic backgrounds. St Patrick’s School is part of the evangelising, catechising and educational mission of the Church, and an integral part of St Patrick’s Parish. The school works in partnership with parents to educate children to seek what is true, beautiful and good. This requires an attentive commitment to the development of the faculties of the whole child: spiritual, intellectual, aesthetical, physical, social and emotional. The children participate and grow in a supportive community, preparing them to contribute to the wider society to which they belong. 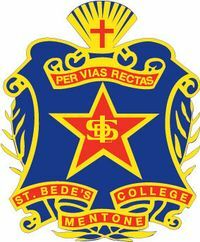 St Bede’s College, situated in the South-East of Melbourne, celebrates 75 years of Christian education. With a population of 1,400 students, the College is very conscious of its fine tradition of Lasallian education where the focus is on the recognition of the presence of God in our lives, and the central focus that Jesus lives in our hearts and that he is our hero. Central to this message are the Five Guiding Principles of the College which enshrine Christian values in a very practical way. Faith Development is central to the life of the College, and the Melbourne Religious Education guidelines provide a focus for such a programme. A full-time Youth Co-ordinator builds on the content of the curriculum by offering practical religious experience. The College offers a wide curriculum from Years 7-12, and the co-curricular activities include sporting activities, music, art, drama, debating and public speaking. 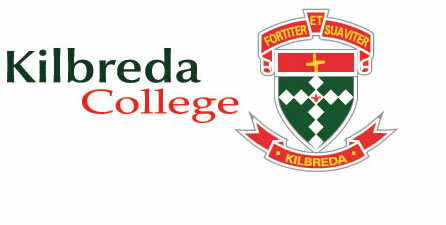 Kilbreda is a distinctively Brigidine Catholic secondary school where Christianity is lived out through core Gospel values and the Brigidine tradition of "Strength and Kindliness". In partnership with families and the Kilbreda Brigidine Stewardship Council we are committed to a rounded, dynamic education that empowers young women to learn together, and to be people of hope and compassion. We value our girls' individuality and encourage leadership that is respectful of others' gifts. A high priority is placed on working cooperatively in teams. In 2004 Kilbreda celebrated its Centenary of foundation. We will continue to build on a hundred years of wisdom, educating young women to value the Catholic heritage and discover a place for themselves in a changing world. Onsite training (depending on numbers), offsite training at various venues. Contract credit management services. Consultancy. Reviewing credit application forms and terms and conditions. Workshops tailored to your requirements.